The Pet Experts at Wheaton Animal Hospital love spending valuable time with pets and their people – be it our new clients or long-standing ones – because we get to see the strong impact that the human-animal bond has on the overall health of you both. While we are focused on your pet’s wellness, we can’t help but notice the mutually beneficial relationship special to pet owners and their pets. What makes the bond so meaningful? Let’s count the ways! Fitness – From frequent backyard breaks to annual backcountry jaunts, pets inspire movement, mostly because they simply love to see what’s happening here, there, and everywhere. While most pet owners are concerned with diet and exercise requirements of their best pals, whether it’s realized or not, their own waistlines get some trimming. Bending down to pick up the old frisbee used to be quite a chore, now it’s as easy as 1-2-3. Robust health – Evidence suggests that pets can reduce significant health problems plaguing their people. From fewer headaches and colds to overall reduction of heart disease symptoms, pets rock at making people healthier. Also noteworthy: some pets can sniff out life-threatening conditions or illnesses, such as seizures or cancerous tumors, raising their owners’ awareness of potential health complications. Less stress – We know that you’ve had the sweet experience of coming home after a long day to your devoted pet, who gives you just the right love and attention to make you feel like it’s all worth it. Research promotes the soothing effects pets can have on their owners, from gazing at an aquarium to the time spent simply petting our pets. This relaxing daily ritual can reduce your heart rate, lower your blood pressure, and bring a smile to your face. Unconditional love – Your pet shows you an unconditional acceptance of your circumstances, and this loyalty easily blends into loving you without conditions. Your pet will be there for you, no matter what. Good company – Most pet owners are less lonely than people without a pet to care for, and find the blossoming or ongoing relationship with their pet rewarding. For senior citizens, the benefit from pet companions increases exponentially. Social catalyst – Pets have a way of breaking the ice between people (even if they’re complete strangers) and can pave the way for future positive encounters. Pet owners on a walk with their pets enter into conversations easily and quickly which may lead to boosts in confidence and self-esteem. 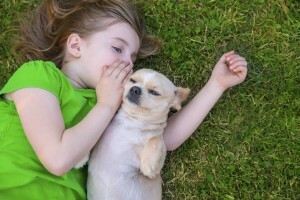 Educational – Children growing up with and around pets are more likely to learn responsibility and focus. Most pet owner pour over books, magazines, and websites when they adopt a new pet and use these resources in the future when questions pop up. Because different species and breeds have differing and specific health requirements, pet owners are in a wonderful position to learn all about their new friend. Laughter – Have you seen a cat play fetch or watch a dog chasing his or her tail? Pets are naturally hilarious (even when they don’t mean to be) and inspire laughter with their physical antics. Longer life – It’s been scientifically proven (and we’d have to agree) that people caring for pets live a longer, more satisfying life. Protection – Not only are pets able to assist you in rehabilitation after an illness or injury, or sniff out fatal or toxic allergens that may cause you harm, pets can protect you from intruders, or potential disaster using a highly-tuned sixth sense. There is conclusive evidence that supports the numerous ways pets contribute to our happiness and health, and research continues to elucidate how pets add meaning to our lives. All of us at Wheaton Animal Hospital love our animal clients and appreciate the people caring for them.